Python has a built-in json module, so you should use that instead of parsing the lines by yourself, no need for regex here. """Return a Counter of values which are at_least (>=) threshold"""
Note that if a hash appears twice, this code, just like your original code, overwrites it with the value that appears last. I took out a lot of unnecessary sorting and calls of Counter. Instead I used the method Counter.most_common, which works like dict.items, except that it returns the items in order of decreasing counts. Then you just need to reverse them to get them in increasing order. I also made your code more re-usable by encapsulating some of the functionality in functions and guarding the actual code with a if __name__ == "__main__" guard. I also gave your variables clearer names. Not the answer you're looking for? 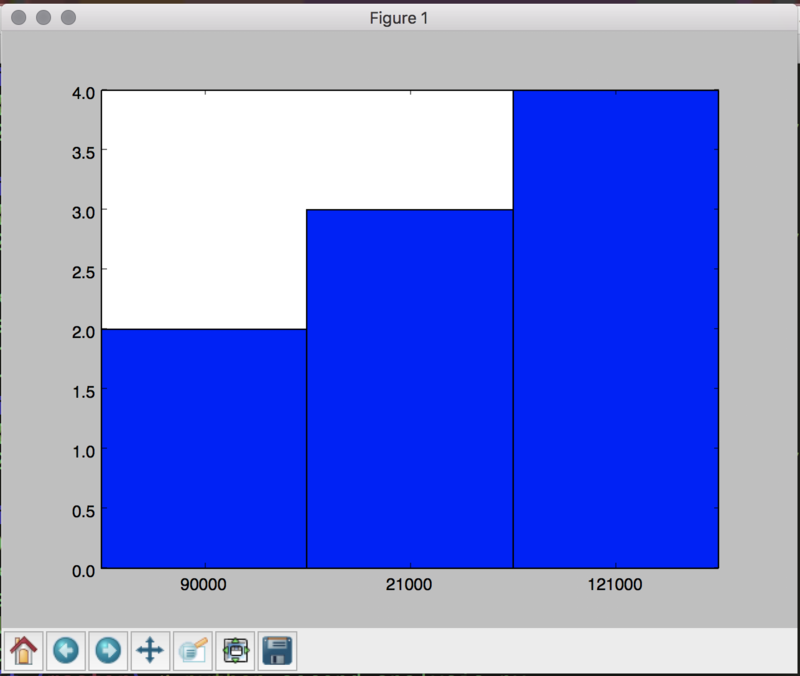 Browse other questions tagged python data-visualization matplotlib or ask your own question.